This is a great value, warm ladies micro fleece jacket. The Jerzees 883F Ladies Zip Microfleece features: 100% polyester anti-pill fleece. Full zip with storm flap and fold over zip concealer. Fitted style with contour side panels. Flatlock stitched seams. Front zip pockets and bound cuffs. Shaped hem with binding. 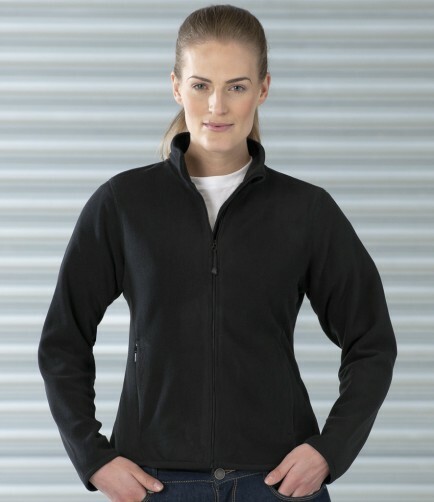 The Jerzees 883F Ladies Zip Microfleece features a fabric weight of: 190gsm.